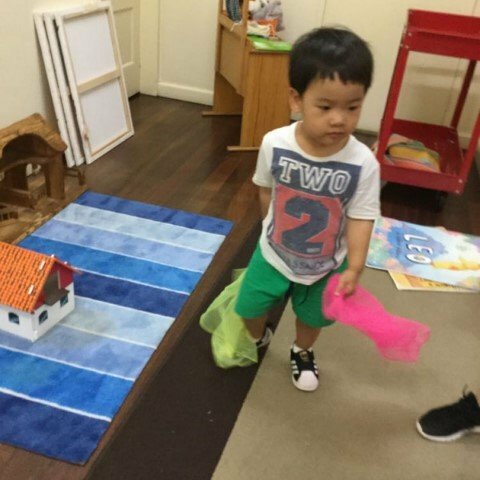 The children in Johnson House Preschool have been showing lots of problem solving and creativity recently. The addition of the marble run in the learning environment has provided the children with the opportunity to build on their interest in construction, particularly in relation to cause and effect. Observing this interest, the educators extended it by offering a range of materials so the children could make their own marble run. 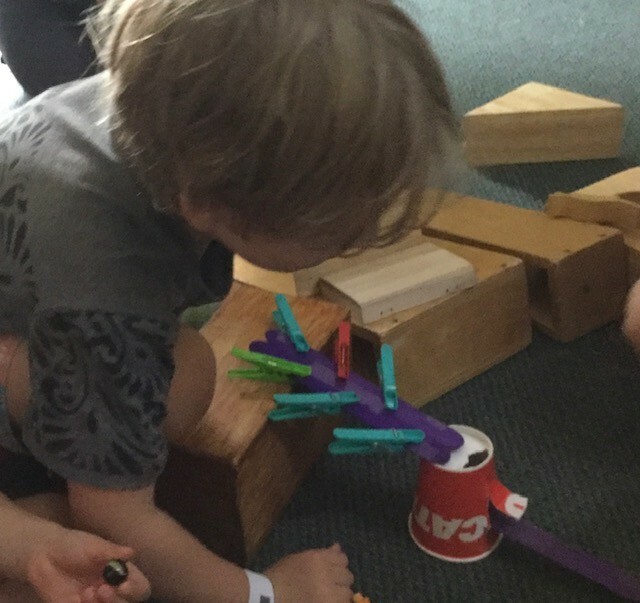 This resulted in the children using trial and error, communicating their ideas verbally and non-verbally, and showing incredible persistence and motivation to achieve the desired outcome. 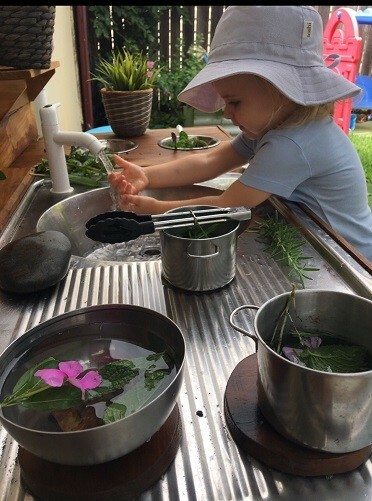 Through this experience the children were also able to develop skills in hypothesising and experimentation as while building on their ability to apply a range of thinking strategies to engage in the play. 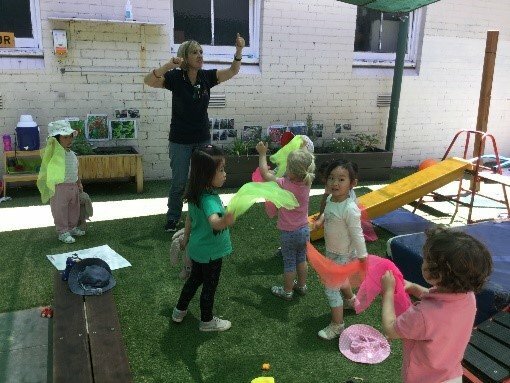 Continuing to follow the children’s interest in playing games, singing and sharing stories, this week the children in Johnson House Toddlers engaged in some group games with hoops and scarves. The children are becoming very familiar with all of our big books. Today we shared another one called ‘The Very Cranky Bear‘. The children used their scarves to re-create part of the story. One child was the ‘Cranky Bear’ and the others pretended to be the sheep, making a pillow for the bear. The children also had the opportunity to engage with each other as they played games with the hoops. The children recalled their learning from last week, and were confident in twisting, rolling and running with the hoops. The children were eager to share the experience and they laughed together as they saw what they could do with the hoops. What’s next? The children can continue to choose to participate and engage in language experiences and gross motor games with props. 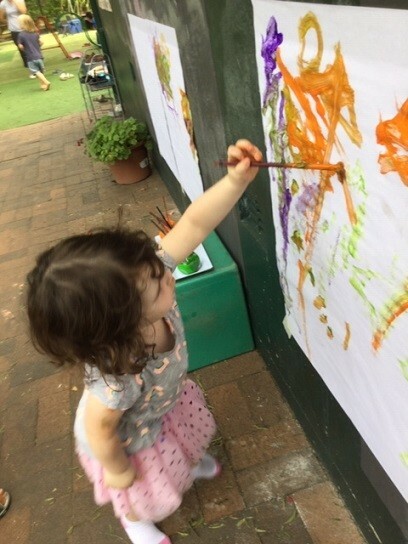 The children are having the opportunity to develop their gross motor skills as they participate in these experiences, as well as building on their existing language skills. Exploring the concept of Santa has been a topic of interest in Murray House Babies room this week, and the children were observed discussing this in their play. 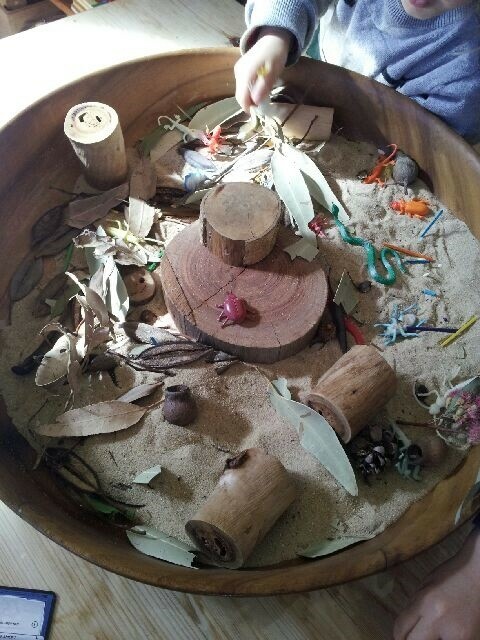 A group of children were observed transforming a round table base into a vehicle. 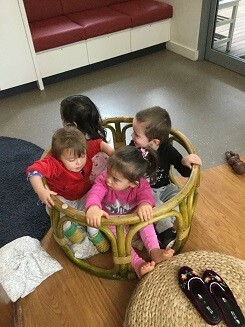 A child exclaimed, “I’m in a rocket ship!”, and his peers invited the educator to join the play – “Come inside, Dalia”. Another child commented, “No rocket. Bus!” She then brought a few chairs from the dining area to add to the pretend bus. 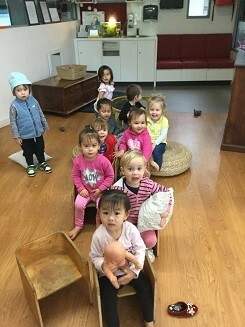 “I can drive!” – another child took initiative to lead the play. The children sang the much loved nursery song The wheels on the bus go round and round. When asked where they were going, a child excitedly answered, “To see Santa!”, and then they giggled and said that they’ve been to see Santa recently. Another invited his friends to hop into the bus, “Come in, guys!”… “Ticket please” said the driver, and a passenger seated at the back asked “Where is the bus going?”, and the other children responded, “To see Santa!” “I call Santa”, said a child as she placed her hand on the side of her face, pretending to talk on the phone – “Santa on the bus coming,” she said. “Santa is at the party,” another child suggested. Some children were bouncing on their seat, telling their educator “Dalia, we need music at the party,” and some children excitedly suggested Jingle Bells! 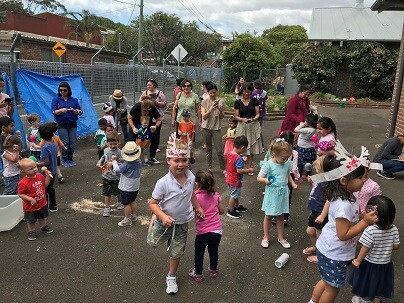 The children spoke amongst each other about the party, and when the driver said “Stop bus, party is here,” the children got off the bus, and Dalia played the requested Christmas songs as the children danced and sang along. As educators, we never cease to be amazed at how perceptive the children are, and how their observation of popular culture and their own experiences are transferred into their play. In the coming weeks we will continue to facilitate children’s exploration on the concept of celebration, Christmas and, the most interesting part, follow their understanding of the concept of Santa! 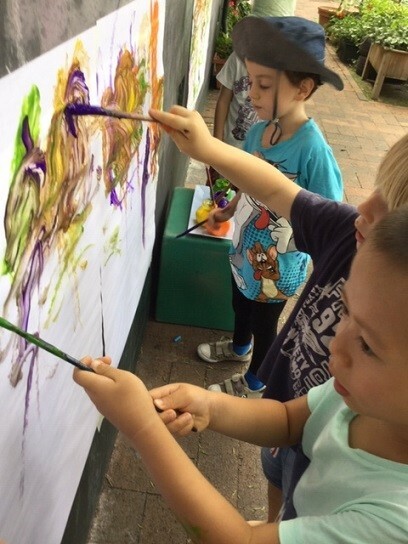 Over the past few months Murray House Toddlers have been exploring the concept of numeracy. 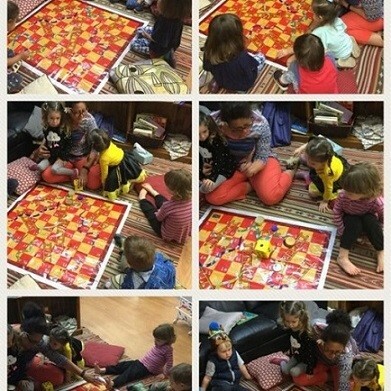 This week they were invited to play a game of snakes and ladders and they learned about the concept of rules within a game. They each took a turn to roll the large yellow dice and to move their counters through the game board squares according to the number they had rolled on the dice. As per the game riels, when they reached a ladder, they would go up, and when they reached a snake, they would slide down. The children took turns to roll the dice, count the dots and moved their pieces with their educator’s guidance. They demonstrated their enthusiasm and further developed their numeracy skills as they counted the dots in each of their turns without much assistance. They shared each other’s success in landing on a ladder and advancing forwards in their turn. 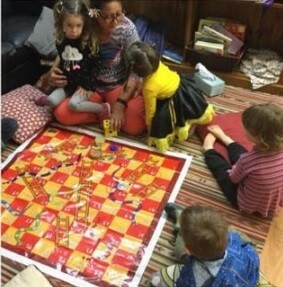 The educator facilitated the children’s play by assisting them to keep track of their counters and giving them guidance to help count the squares as they moved. The children also observed the tangible progress of how far the counters went as they went up and up the board. 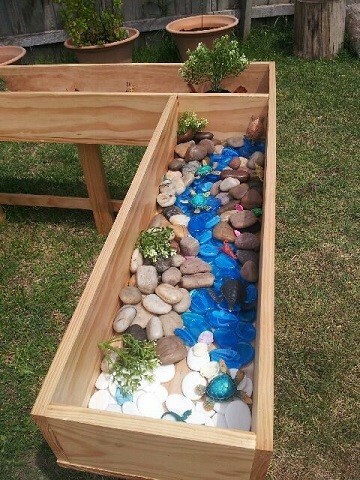 This was a great example of how children learn and master early mathematical skills through play! At Edurne’s Family Day Care the children have been exploring hands-on learning through Edurne’s Rekenrek (arithmetic rack) constructions. The children have been using these resources to count numbers and they have started to explore simple addition and subtraction. This week at playgroups the children have been very festive! 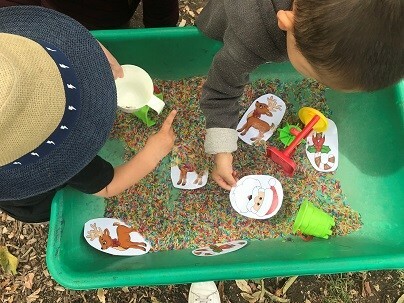 They have enjoyed finding Santa and candy canes in the sand and rice play areas. 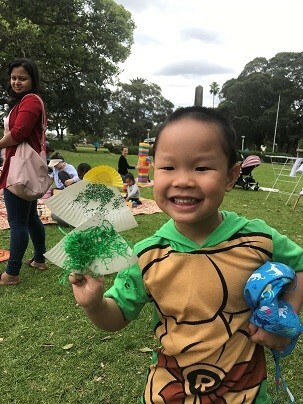 Other activities have included writing letters to Santa, creating Christmas trees and reindeers, decorating reindeer biscuits and dancing to Christmas songs and playing instruments along with the music. We read ‘Macca’s Christmas Crackers’ and ‘Rudolph the Red Nose Reindeer’ during story time.